Steel Plantech’s continuous slab caster enhances product quality dramatically through various functions. 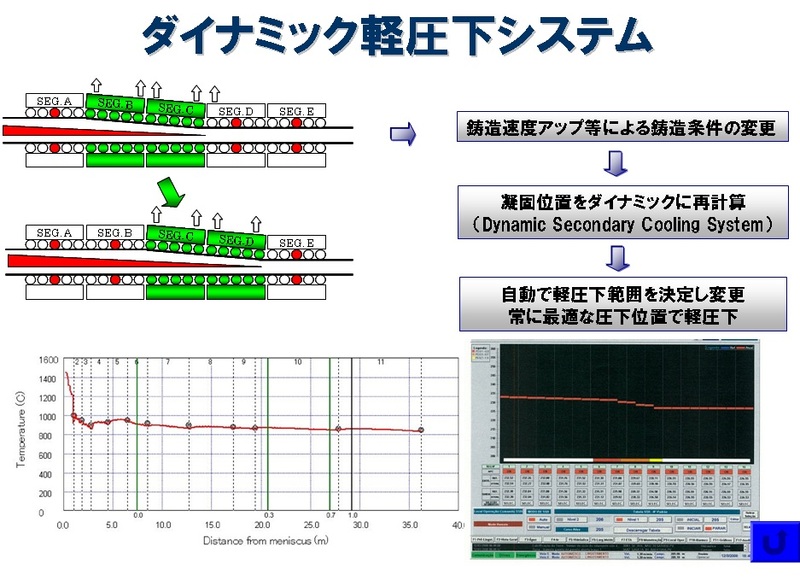 5Decrease of internal and surface strain of slab through an optimum design of roll profiles. 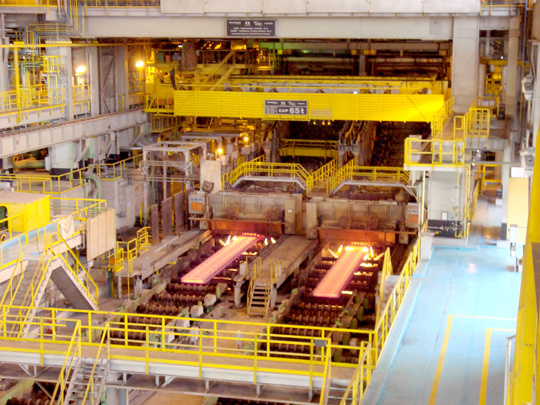 Cost reductions can be realized through adoption of a Steel Plantech continuous slab caster. 1Revamping work to vertical bending caster in shorter shut down period based on a detailed and careful plan. 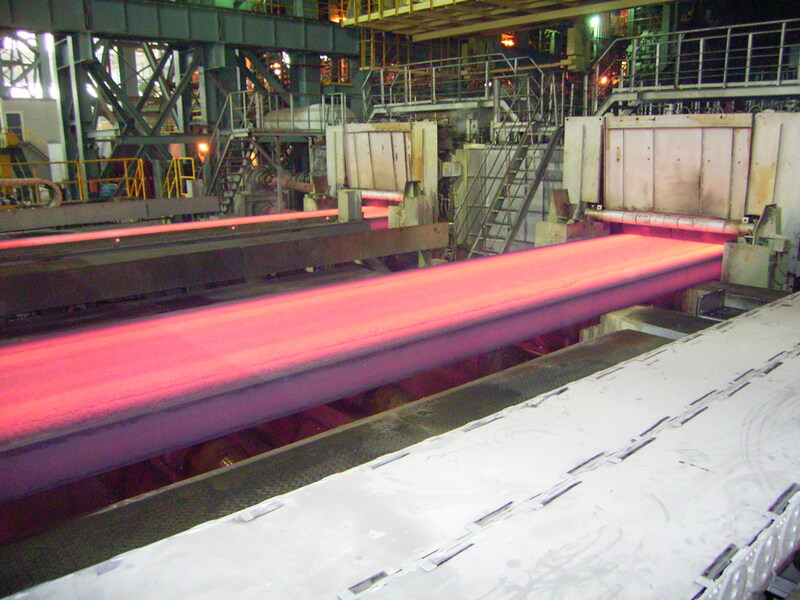 2Optimum and minimum period renovation planning and on schedule start-up of the machine according to plant facilities’ conditions. 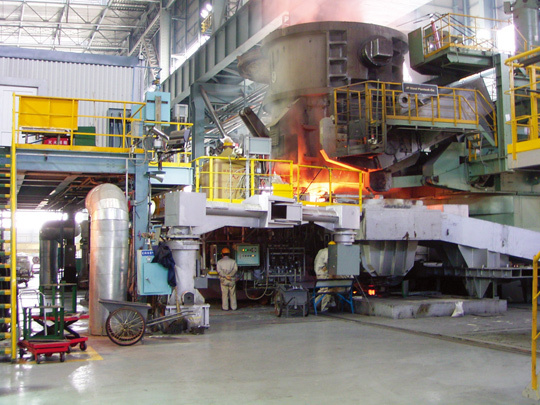 3Heavy plate vertical continuous caster that expands the range of heavy plate production by casting. 4Dual-use twin/triple-caster machines that make it possible to cast slabs in various sizes. 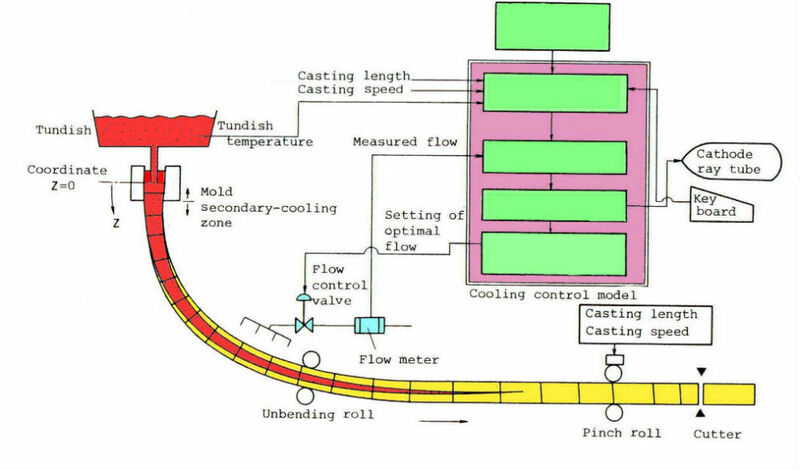 Through a dynamic control model original to Steel Plantech, this system automatically controls the amount of spray in the secondary cooling zone after the mold, according to the optimum thermal pattern for the steel grade and the operating conditions, such as casting speed. The secondary cooling spray nozzle, which is installed in each segment, has a hydraulic width adjuster. In addition to conventional fixed spray nozzle cutoff valve type cooling system, we also offer a mobile spray nozzle type for which continuous adjustments to the spray width can be carried out according to size or steel grade.